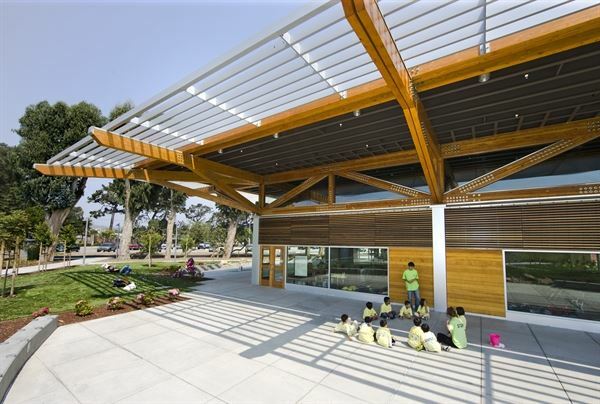 Constructed in 2008, the Joseph A. Fernekes Building is an award-winning facility located in Orange Memorial Park in South San Francisco. Situated between the Orange Pool, sports fields, and playgrounds, the facility serves the community’s cultural, recreational, and celebratory needs. The Fernekes Building features a commercial kitchen, beautiful maple floors, outdoor patio space, a barbecue grill, ample parking, and a 3,600 square-foot multi-use activity room encompassed by windows and grassy open-space.